The outdoors can teach us many lessons, from skills like pitching a tent and cooking a hot meal to life lessons such as communication and decision making. 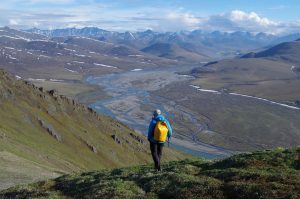 Alaska is full of women and men of all stripes that have lived full lives in the outdoors. Join your host, Paul Twardock, on the next Outdoor Explorer as he speaks with Alaska ski pioneer Jim Mahaffey and retired Denali Mountaineering Ranger Daryl Miller. Segment 1: “Skiing in Alaska.” Jim Mahaffey, ski pioneer. Segment 2: “Climbing Denali.” Daryl Miller, retired Denali Mountaineering Ranger. Next articleWill Alaska endorse climate science education?